MERIDEN -Donna F. Gallo, 64, of Meriden died surrounded by her loving family on Friday Oct. 21 at Connecticut Hospice in Branford. She was the wife of 25 years to Richard D. Gallo. Donna was born in Meriden on March 22, 1947, daughter of the late Joseph and Mary Fetta. 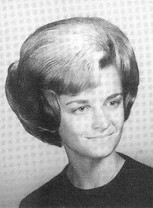 She graduated in 1964 from Platt High School. Donna worked at several companies in the Meriden area. She retired from the Connecticut Department of Transportation, the Office of Rail, where many wonderful friendships were formed. Donna was a loving wife, mother, grandmother, sister, and friend and cherished by the many people whose lives she touched. Donna lived life to the fullest and she lived life her way. She was the bond that brought family and friends together, whether it was in her many travels or around her dining room table. She especially loved the beach, enjoying the sun, sand and water with her "beach buddies" every year. Besides her husband, Donna is survived by her four sons, to whom she was devoted, Brian and Alyssa Girard, of Post Mills, Vermont, Donald and Michelle Girard, of Rutland Vermont, her sons, Anthony and Niki Gallo of West Haven, Frank and Catherine Gallo, of Meriden. She is also survived by her brother, Thomas Fetta and his wife, Marie, of Clinton. She was the loving grandmother; of Piper, Rocco, Hannah, Owen, Mia, and Justice. She is also survived by her very special Aunt and Uncle, Catherine (Cioci) and Francis (Uncle Zyg) Zygmont, a half-brother, Joseph Yatar and his family of Guam, and many cousins and friends. Rest in peace my dear sweet friend. I'll always remember the great times we shared especially at our PJ parties, laughing all night, sneaking out of the house in our jammies and running down the street in hysterics. I think of you often girlfriend and miss you so much. I love all the memories I have of you. You will never be forgotten.